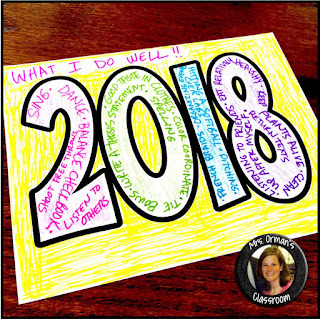 When you return from break this year, take a moment to allow your students to reflect on the things they've already accomplished and look to what they hope to achieve the remainder of the school year. These activities can promote a growth (rather than fixed) mindset for students. Self-reflection builds self-awareness--an integral component in developing emotional intelligence. My activities challenge students to really think deeply and stretch their minds. For example, one activity makes them come up with 20 things they do well. This is a perfect activity for developing a growth mindset. Even though coming up with 20 things is tough for a teenager, the exercise helps them not only reflect on their own skills and traits but builds self-esteem. While developing a growth mindset is important, it's also essential to promote creative thinking in your classroom. Start the new year with some simple prompts that challenge your students to think differently. My activities include an acrostic poem using numbers rather than letters. That added difficulty pushes your students' critical-thinking skills. Another activity adds a fun scavenger hunt (who doesn't like scavenger hunts?) and allows students to create their own. This can get your students moving around the room (and perhaps the school, at your discretion), promoting physical activity in the classroom while improving student performance. 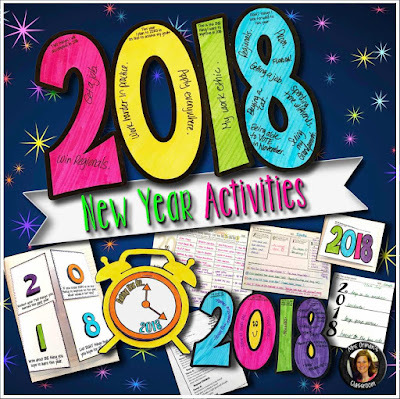 I've also included a reading comprehension activity using the song lyrics to Auld Lang Syne. 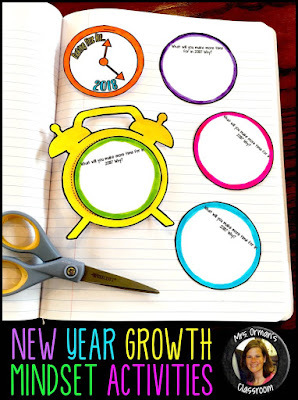 The creative component of that activity challenges students to write their own New Year-themed song lyrics. 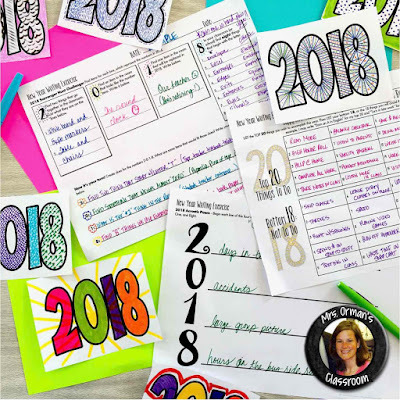 Of course, I did not forget to include the old standby writing prompt, which asks students to think about how their new year resolutions (I define "resolutions" for them within the prompt). All of my activities include both traditional "print & go" pages and interactive notebook foldable activities. 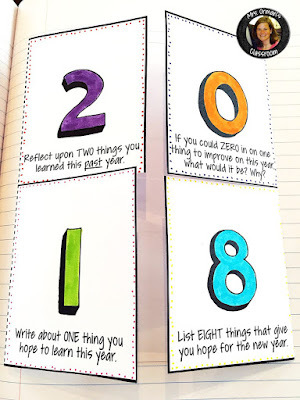 The "2018" short prompts make a great bulletin board, classroom, and/or hallway display. 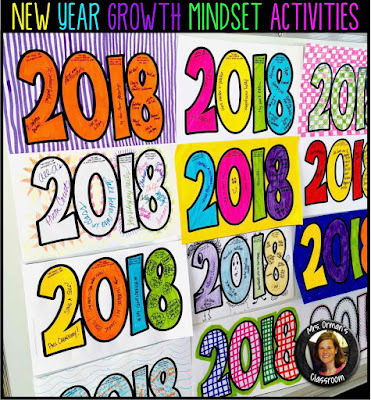 Administrators love to see students visually display a growth mindset and students love reading one another's goals and things they are looking forward to in the new year. I include blank ones so you can have your students decorate them with their Top 20 list if you wish. Displaying your student's work gives them a daily reminder of the things they hope to improve, achieve, and look forward to throughout the year. I usually take them down after a month or so but at the end of the year I pass them back and ask students to reflect on whether they achieved what they hoped they would. It's another way to reinforce self-reflection and build emotional intelligence.